Dubai is known for its extravagant development projects, like the indoor ski resorts, rotating skyscrapers and "miracle gardens," to name just a few. 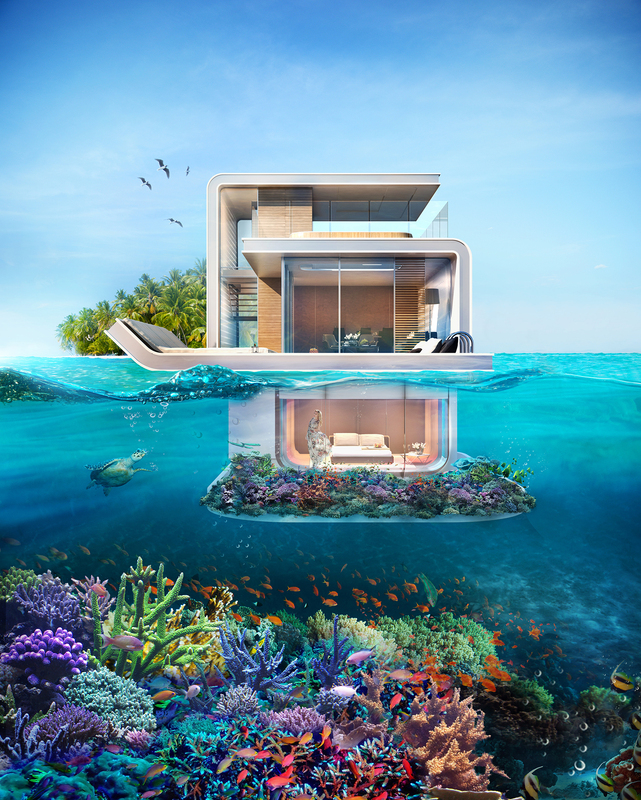 But the newest project, "The Floating Seahorse," is exceptionally lavish: it's a floating home with underwater rooms. Dubai developer Kleindienst Group revealed the visually stunning renderings for "The Floating Seahorse" at the Dubai International Boat Show in March 2015. They say they'll build 42 of the structures, which are essentially boats without the propulsion, and plan to have them completed by the end of 2016. The floating properties were designed and engineered to be part of "The World," Dubai's large artificial island project. 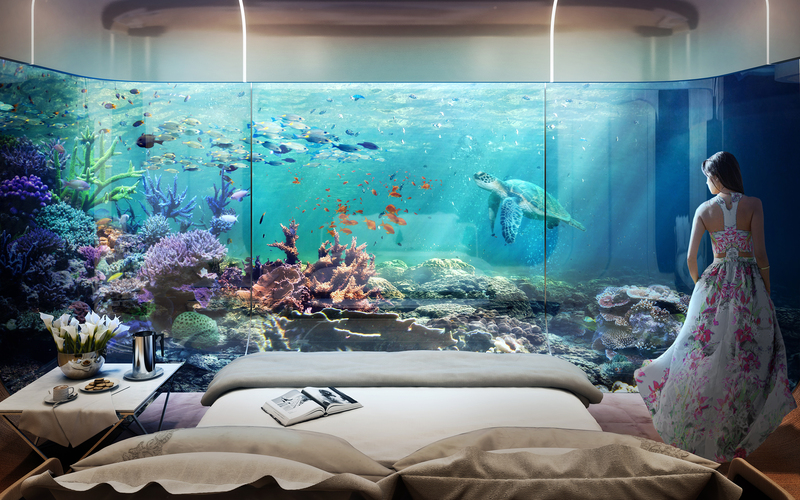 According to a Kleindienst Group press release, the name of the project is connected to protecting sea life in the Persian Gulf: "We will create an artificial coral reef beneath the luxury retreats which will be a protected area in which seahorses can safely live and breed," the company said. All photos courtesy of Kleindienst Group.